Entre Nos (Between Us) is an animated novela about family acceptance. Somos Familia provides bilingual (Spanish/English) education and support services for Latina/o/x families and service providers such as child care workers, teachers, and staff of community-based organizations in order to build their capacity to better serve Latina/o/x families with LGBTQ children and create safer environments for all of our children. Somos Familia’s education and support program helps youth, parents, and school personnel to create safe and healthy school and home environments. Read more here. Please share the link to our YouTube page widely with family, friends, colleagues and community networks. Our goal is to make the videos easy to access so as many people as possible will see them. 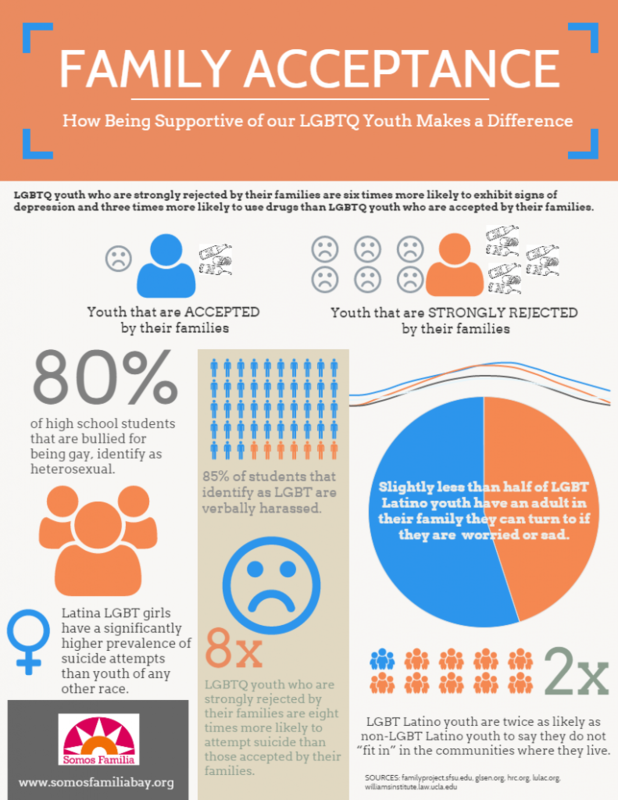 to build awareness and acceptance of LGBTQ youth as part of our families. Tres Gotas de Agua (Three Drops of Water) is a short documentary where three Latina immigrant mothers talk about their children's coming out processes, convey powerful messages about unconditional love, and share responsibility and acceptance of LGBTQ people as part of Latina/o/x families. The three stories, in Spanish with English subtitles, can be viewed together, or as a separate videos. To receive a copy of Tres Gotas de Agua on DVD, make a donation online or mail your donation to Somos Familia, 2323 Broadway, Oakland, CA 94612. 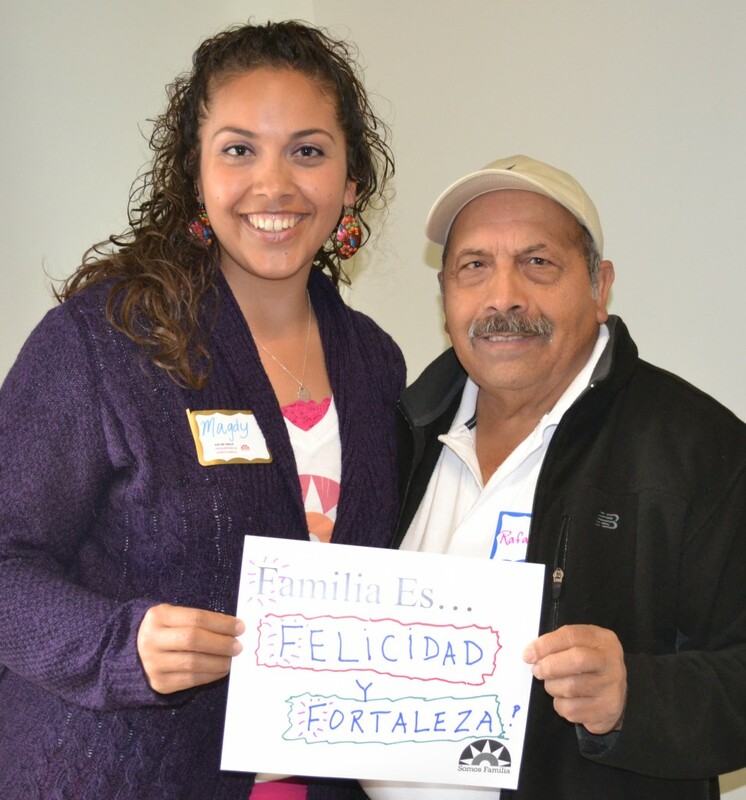 For more information, contact somosfamiliabay@hotmail.com or 510-725-7764. From the filmmakers that created Tres Gotas de Agua, El Canto del Colibrí is an intimate and deeply personal documentary where immigrant Latino fathers across the U.S. recount the impact of their children’s coming out. Through raw, heartfelt testimonies, these families delve deeply into issues of immigration, prejudice, and isolation, while thoughtfully asking questions of their communities, culture, and even their religious beliefs. The result is a powerful lesson on solidarity and humility in a film that both heals and inspires. Should I ask my child if they're LGBT?